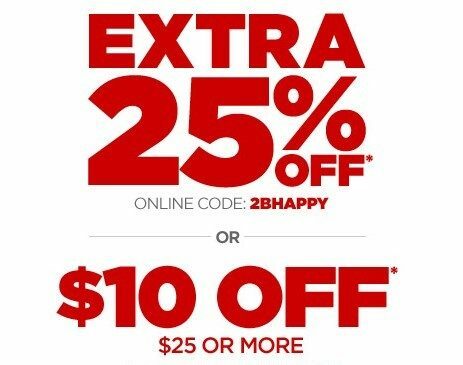 $10 Off $25 Or 25% Off at JCPenney! In-Store Or Online! You are here: Home / Great Deals / $10 Off $25 Or 25% Off at JCPenney! In-Store Or Online! Through 10/31/15, you can get $10 off a purchase of $25 or more or 25% off or in-store or on-line at JCPenney! Online, use code: SHOPNOW3 at checkout to get $10 off $25 and code: 2BHAPPY to get your 25% off online!